Along with the addition to the Pershing Building, several other campus projects are under way this summer, most notably the demolition of the Department of Public Safety Building and parts of the Grim-Smith Building. 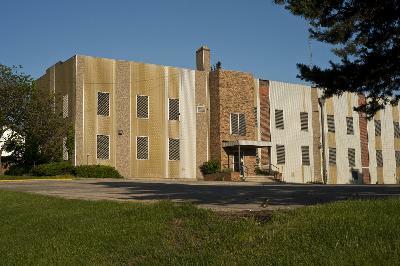 The north side of the Grim-Smith Building will be demolished beginning in August. A new façade and entrance on the north side is scheduled for completion in November. The open space created will be landscaped and will feature new walkways and stairs to the north side entrance. The Grim-Smith Building has already received some minor interior renovations and the Department of Public Safety will relocate to offices on the first floor. 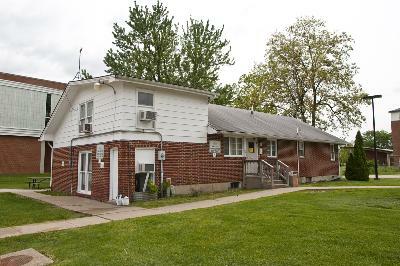 The former DPS building, located to the north of the Student Recreation Center, is scheduled for demolition in August and will be used as green space. Athletics offices are still in the west sides of the second and third floor at Grim-Smith, however, once Pershing Building is complete, the offices will be relocated to the north wing of Pershing Building. Ryle Hall will also be the site of construction this summer. The north wing will be completed and reopened for occupancy in the fall. The south side will be closed for renovation during 2010-2011 school year. Over the summer, the Ryle Hall kitchen will be completely replaced and the dining hall and lobby will be refurbished. The addition of a new boiler at the Power Plant, along with new system controls, will allow for more efficient heating on campus and save the University money in utilities costs. Other work on campus this summer includes renovation to the main corridor in Baldwin Hall, construction of the café in Pickler Memorial Library, and ITS upgrades to the campus fiber optic network and some classrooms. All of this work is scheduled for completion by the fall semester. Curtis Rhodes, the Truman student who passed away in April, will be memorialized with an annual scholarship through the Truman State University Foundation. The Curtis Rhodes Memorial Scholarship, in the amount of $1,000, will be awarded for the first time for the 2010-2011 school year. The recipient will be an incoming freshman majoring in mathematics, science or computer science. The recipient must also be a student from the St. Louis Public School district or a charter school in the metropolitan St. Louis area, have demonstrated commitment to school and community service and issues of diversity, have a 3.0 grade point average and have financial need. Navential Management of St. Louis, in collaboration with the family of Curtis Rhodes, is sponsoring the annual scholarship. 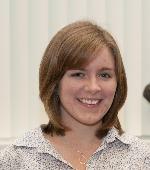 Martha Scharff has been named a Presser Scholar for the 2010-2011 academic year. The “Presser Undergraduate Scholar Award” is given to an outstanding music major at the end of his or her junior year. The Presser Foundation awarded this prestigious award to Scharff this spring. 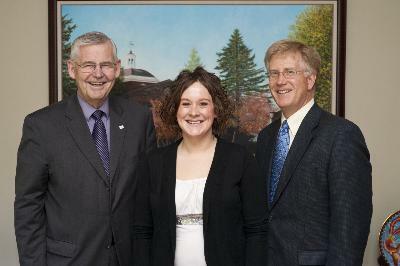 Presser Scholar Martha Scharff with Thomas Hueber, professor of music, and recently retired Truman President Darrell W. Krueger (left). Scharff is pursing a Bachelor of Arts degree with a general concentration in music-vocal emphasis. Theodore Presser is remembered not only as the publisher of Etude, the music magazine, and the founder of the great music publishing firm bearing his name, but also as a philanthropist who specialized in music education. Among her achievements, Scharff won second place in the Sophomore Women’s Division of the Missouri District Auditions sponsored by the National Association of Teachers of Singing (NATS) in 2008 and was a semi-finalist at the NATS Central Region auditions in 2009. She was a finalist in the Truman State University Gold Medal Concerto aria competition in 2009 and was selected as a winner of the Gold Medal Competition in 2010. Students Emily Ward and Mark Misiewicz won the Schwengel-Lincoln Contest for essay and art respectively. Truman alumnus Fred Schwengel (’30) of Iowa served in the U.S. House of Representatives for eight terms, retiring in 1973. He and his wife Ethel Cassity Schwengel (’32) began giving his large collection of Lincoln- related books, art and other memorabilia to the University in 1976. They also included funds to maintain the collection and to establish an annual Schwengel-Lincoln Contest, now administered by the School of Arts and Letters. Entries in the categories of art, oratory and essay are judged for creativity, content, technique and original use of a Lincoln-related theme. Ward’s essay was titled “Me and Lincoln, Lincoln and Me.” Misiewicz’s portrait of Lincoln was untitled. Both Ward and Misiewicz were awarded cash prizes in the amount of $250 and their entries will become part of the Schwengel-Lincoln Contest Collection in the Special Collections Department at Pickler Memorial Library. Nursing Department students in the class of 2010 received their nursing pin at a pre-commencement ceremony May 7 on campus. The pinning ceremony recognizes the graduating seniors’ successful completion of a rigorous academic and professional program. 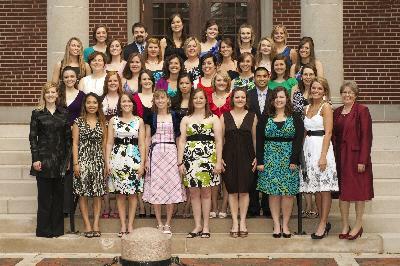 First row (left to right): Karli-Rae Kerr, Kongkeo Vorachack, Erin Herbst, Barbara Selvy, Christina Roybal, Amelia Ousley, Sarah Thompson, Kelsey Mason and Pamela Gardner, class adviser. Second row (left to right): Alyssa Canfield, Megan Campbell, Lauren Wilson, Suong Nguyen, Alyssa Lewellen, Bryan DeGuzman and Jennifer Jackson. Third row (left to right) Kristin Kimrey, Melissa Brockman, Emily Reinart, Lindsay Walsh, Emily Schroeder and Britney Snodgrass. Fourth row (left to right): Megan Laughter, Hayley Hamlin, Loren Lally, Emily Bonser, Ashley Swain, Jamie Menown and Jessica Evelsizer. Fifth row (left to right); Karen Wollberg, Benjamin Hainline, Kristen Nissen, Theresa Weinhold, Elizabeth Brink and Kathryn Hinrichs. Truman’s chapter of Theta Alpha Kappa national honor society for religious studies and theology recently inducted four new members. Pictured (left to right): Brenna Hale, Amy Fleming, Amy Yeagle and Heidi Geisbuhler were inducted May 5. Established in 1976, Theta Alpha Kappa has grown to more than two hundred chapters nationally in four-year educational institutions ranging from smaller liberal arts colleges to large public research institutions. It is the only national honor society dedicated to promoting academic excellence in baccalaureate and post-baccalaureate students in the field of religious studies. The society also maintains a vigorous national program of scholarship awards and fellowship competitions including annual awards and the publication of outstanding student papers. At this year’s Student Research Conference, IT Services worked with the SRC steering committee in a pilot project to record student presentations. Truman currently has six C-Level smart classrooms that can provide this type of recording on demand. For the SRC project, ITS was able to develop a deployment strategy to quickly accommodate 15 additional classrooms using a lower cost/mobile equipment approach along with the existing centralized capture system, Panopto CourseCast. The conference provided a great opportunity to load test the Panopto system as it necessitated numerous simultaneous recordings. The pilot project netted more than 160 successful recordings, which were made available to the students themselves, their mentors and the Truman portfolio committee. The 22nd Annual Conference featured a plenary address by Denise Von Glahn, which was also captured and set for public viewing. The Annual Academic Honor Awards Assembly, which recognizes outstanding students who have dedicated time, energy and talent to their academic achievement, took place May 7 in the Student Union Building Georgian Room. Alumna Emily Finnegan (‘07), news reporter and anchor for KTVO television, was the guest speaker. The BigSun Organization is proud to be able to continue to help young athletes succeed in their academic pursuits by offering a $500 scholarship. All student athletes are eligible for this award, regardless of the sport. Deadline for submission is June 24. Visit http://www.bigsunathletics.com to learn how to apply. AES Engineers is providing $500 scholarships to students, regardless of courses being studied, who meet certain criteria. Scholarships are intended for future leaders across a wide spectrum of fields of study. This award is available to high school seniors and all students attending a post secondary educational facility. Students are not required to be taking engineering courses to be eligible. Students must submit an essay of no more than 1,000 words in answer to one of the two questions posted online at http://www.aesengineers.com/scholarships.htm. Deadline for entry is Oct. 8. Truman needs volunteers to work July 19 at the NEMO Fair. Volunteers will receive a free one-day pass to the fair. Call the Public Relations Office at 785.4016 to sign up or stop by McClain Hall 101. Taiwan at Truman is looking for host families for Father’s Day weekend, June 18-20. Seventeen high school aged Taiwanese girls need families to house them and introduce them to American culture. The students will be available from 3-6 p.m. June 18 through 12-4 p.m. June 20. This will be a great intercultural opportunity for the students to experience an American lifestyle. Host families will also have the rare chance to learn of Taiwan and Taiwanese culture firsthand within their homes. Taiwan at Truman will work with the host families’ schedules. Interested families should contact Jessica Wehner at jtw8854@truman.edu or at 573.883.0272. Cost is $28 per person and includes game ticket and tailgate with Zarda BBQ! Socialize with Truman alumni and friends, and enjoy one of the great rivalries in baseball. Purchase tickets online at http://store.truman.edu/alumni/item.asp?itemId=231 or call the Office of Advancement at 800.452.6678 or 660.785.4133. $90 individual entry fee includes: golf, cart, range balls, all food and refreshments, gift package and much more! Contact Jack Schrader at schrader@truman.edu or 785.4171 for more information. The Truman Facebook page provides information about upcoming events, athletics updates, alumni gatherings and recent University news articles. 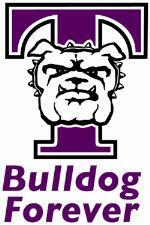 Become a fan at http://www.facebook.com/trumanstateuniversity or through the Truman home page at http://www.truman.edu. Hot lunch served between 11:30 a.m.-1 p.m. The next issue of the Truman Today will be available online June 14 and in print June 15. All submissions should be made by June 9 to tmiles@truman.edu. The Truman wrestling team captured the NCAA Div. II Wrestling Coaches Association team all-Academic Championship for the fourth straight year and the sixth overall with a grade point average of 3.467. The team GPA is calculated by averaging the cumulative GPA of ten wrestlers from each team, of which, eight of those wrestlers must have competed in their team’s NCAA national qualifying tournament. Under the direction of head coach Dave Schutter, Truman becomes the first program to win the championship in four consecutive years. Kate Aherne, a 2010 graduate and member of the women’s swimming team, has been awarded an NCAA postgraduate scholarship. The one-time grants of $7,500 each are awarded for fall sports, winter sports and spring sports. They were created in 1964 to promote and encourage postgraduate education by rewarding the NCAA’s most accomplished student-athletes through their participation in NCAA championship sports. Up to 174 are issued annually. Athletic and academic achievements, as well as campus involvement, community service, volunteer activities and demonstrated leadership, are evaluated. To qualify for an NCAA postgraduate scholarship, a student-athlete must have an overall grade point average of 3.2 and must intend to continue academic work beyond the baccalaureate degree as a full- or part-time graduate student. Aherne was a three-time national champion in the 200 individual medley and broke her own national record in the event at this season’s championship. A 27-time all-American, she also won a national championship as part of the 800 freestyle national championship relay squad in 2008. In May, she was named co-female student-athlete of the year at Truman. Grant Berry, a 2010 graduate and member of Truman’s chapter of Sigma Delta Pi, the National Collegiate Hispanic Honor Society, received the prestigious Gabriela Mistral Award for his academic achievements in Spanish and his dedication to the mission of Sigma Delta Pi. The Gabriela Mistral Award is granted by Sigma Delta Pi’s national headquarters and may be presented to only one person per chapter. The honor is reserved for outstanding graduate or undergraduate students of Spanish who are active members of Sigma Delta Pi. Janet Gooch, communication disorders chair, served as an external reviewer for the Communication Disorders Program at the University of Northern Iowa in April. Janice Grow-Maienza, professor of education, presented a paper authored with Scott Alberts, professor of mathematics, and Hyun Joo Kim, professor of mathematics, titled “Effects of Asian Curriculum Materials on Teachers’ Knowledge and Pedagogy,” at the Research Presession of the annual conference of the National Council of Teachers of Mathematics, on April 20 in San Diego. Grow-Maienza also presented papers on Korean primary mathematics and their effects in American classrooms at the annual meeting of the Missouri Council of Teachers of Mathematics in December 2009, and at the Interface Conference sponsored by the Missouri Department of Elementary and Secondary Education in February 2010. Grow-Maienza, with Alberts and Todd Hammond, professor of mathematics, and Joseph Sencibaugh, associate professor of education, and Myra Collins, Jenny Webb, Sheila Thurman and Lori Ladwig, will conduct a graduate level teacher institute for 40 Missouri teachers in July on gecKo mathematics, the name given the English translations of the Korean primary mathematics curriculum produced at Truman with National Science Foundation funds. The Missouri Department of Higher Education is funding the Institute July 12-22.